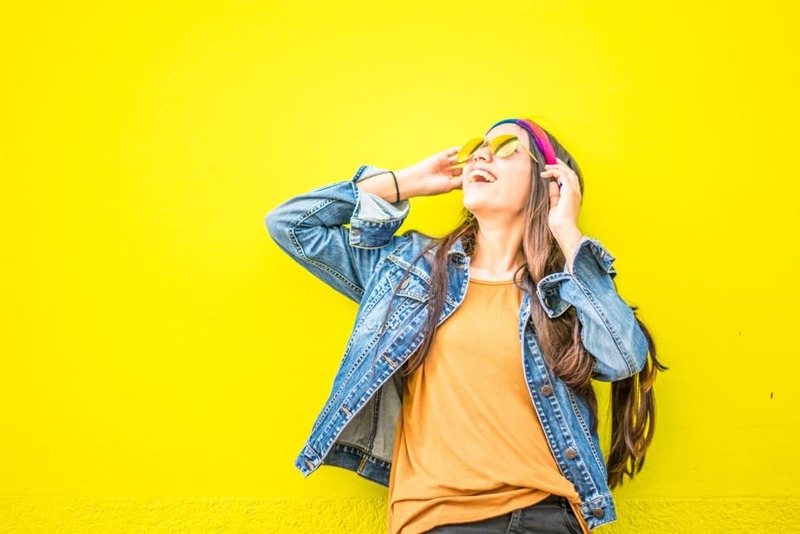 Yellow is one of the happiest colors in the world, and it’s a great way to liven up your winter wardrobe. Yellow has been a popular fashion color for the past few seasons and a perennial favorite for the warmer months. 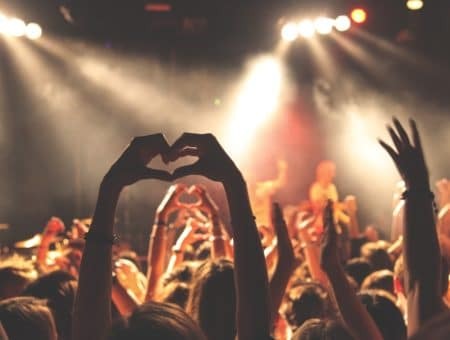 While the color is seen as cheery, upbeat, and the definition of a hot summer day, yellow can still be a killer winter shade. In fact, adding a pop of sunny yellow to your winter wardrobe might be just what you need to get through the rest of the chilly season. 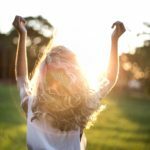 Let’s take a look at a few options and how you can brighten up your life by wearing yellow in winter! To recreate this look, take your white skinny jeans and pair them with a black boot. Whether the boot is heeled or flat, tall or cropped, zip-up or pull-on, any black boot will work with this look. 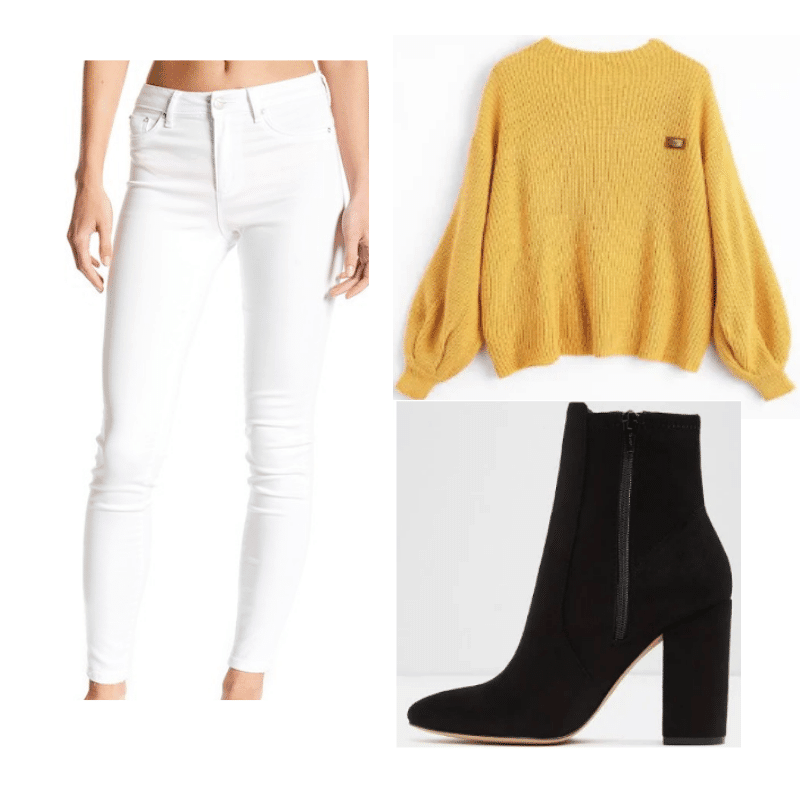 Of course, the bold sweater is the key to this ensemble, and finding one in a bold and bright shade of yellow is easy to do. I like this sweater because of the cropped wrist hem and the neckline, which I find to be flattering in sweaters. This look could be worn to class, a meeting, or a fun winter dinner party. 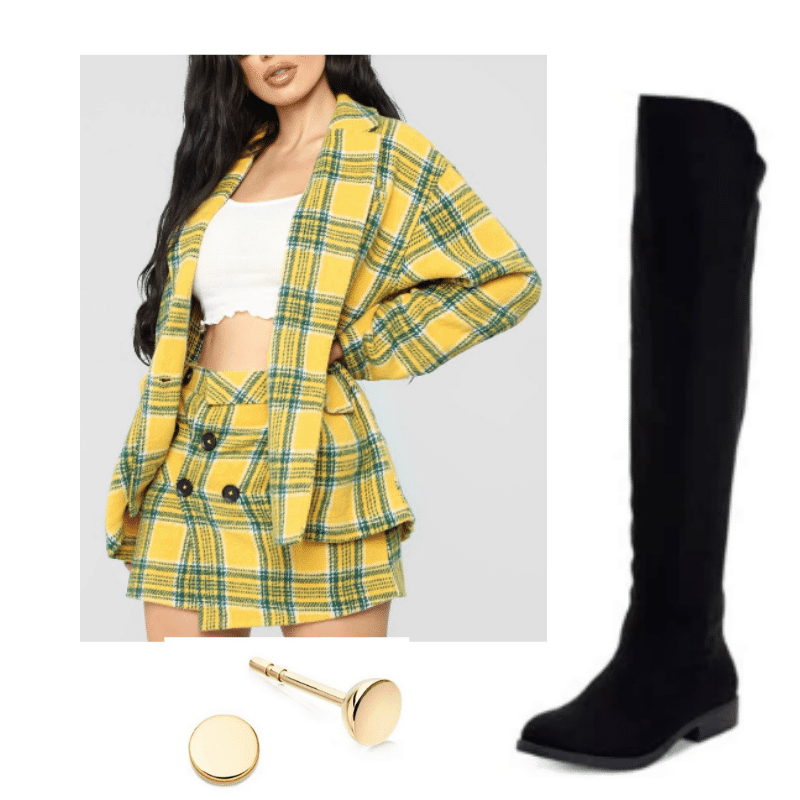 In this Cher Horowitz-inspired look, we found a top and bottom set in a bumblebee yellow plaid pattern, and talk about a confidence boost! This mock-suit is fashionable and chic, with side buttons and a large blazer. With plaid shades of green thrown into the mix, this eccentric look is the perfect set for getting through the boring and drab days of winter. To get this look, find a top and bottom set, preferably in the color yellow, and pair them with a white or light colored top underneath. Play around with buttoning up the blouse, or leaving it open, because it can change the look completely. A tall pair of black boots finishes off the look, as do some gold accessories. This cheery and sassy look can turn the streets into your runway this winter! Turn that winter frown upside down with this summery yellow dress. With a long skirt and classic button-up blouse top, this dress shouldn’t be kept in the closet all year. Combining the popular shade of mustard yellow with a delicate cream print, this dress will automatically lift your mood when you go out to face the cold. 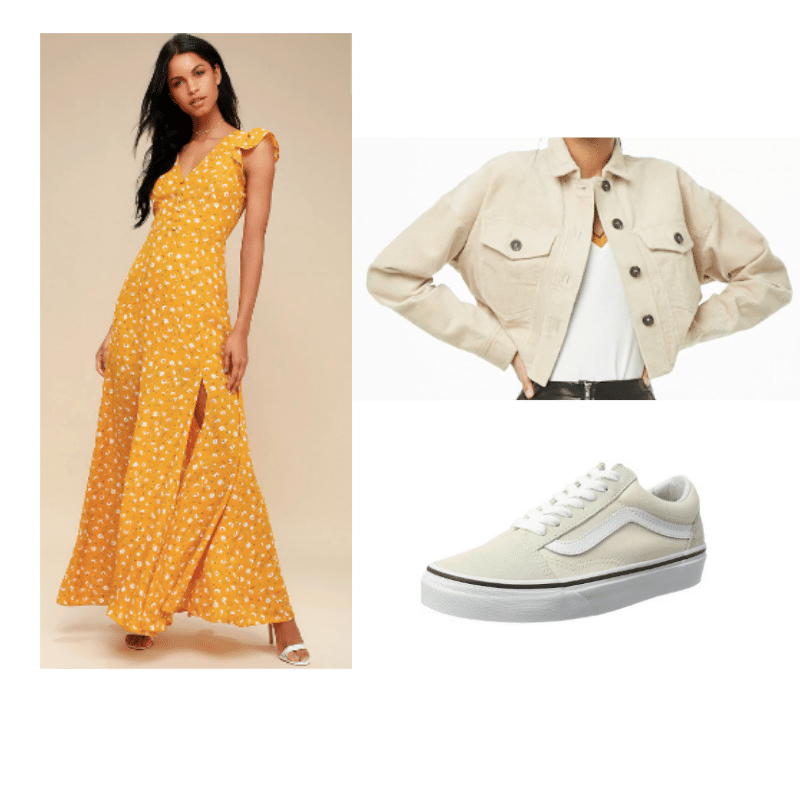 To accessorize this summery dress so it will be winter-appropriate, pair a heavy corduroy/denim jacket in the color of cream (or jean) over top. In addition, any kind of chic sneaker will transform this look. If you can do so, matching the jacket to the shoes helps the print in this dress stand out even more. This look is perfect for a daytime date or a casual dinner with friends. These pale, almost tan colored yellow boots are the perfect subtle addition to any outfit, in any season. I love the simplicity of this outfit. 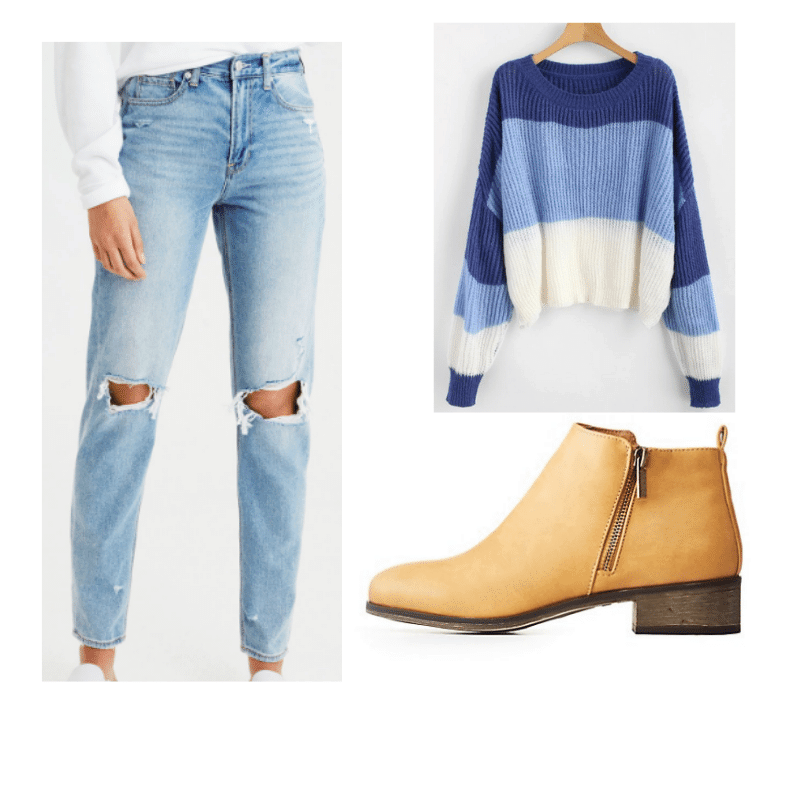 The colors work together to draw the eye, and between the shades of blue in the sweater and the light wash and gentle rips of the jeans, this outfit looks relaxed and casual. 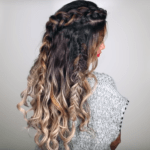 This look is so easy to create, and can easily be switched around to fit your personal preference. Start with a good pair of light-wash jeans, a springtime staple that you can start wearing now. When it comes to picking out the sweater, you have freedom to play around. This tri-colored pattern works in this set to add a little uniqueness to the look, but any blue or purple top would achieve this style. Finally, these adorable little booties are the perfect finishing touch, especially with such a distinctive color and texture. 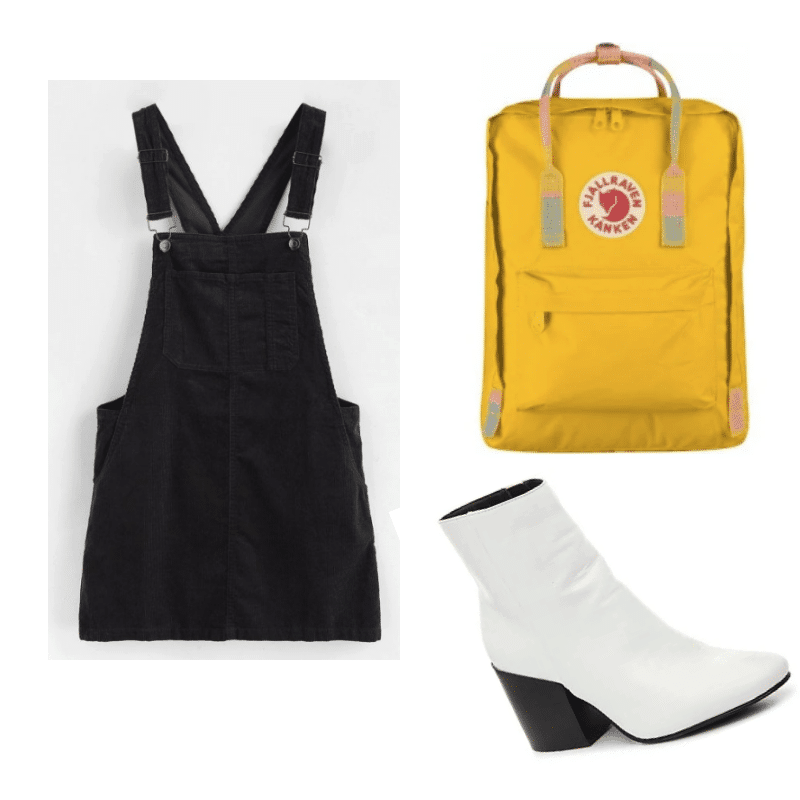 This outfit is a combination of retro and school-girl, thanks to the bright yellow backpack combined with shiny white boots. The black jean pinafore is a look that goes with a lot of outfit options, and is the perfect versatile piece that you can wear throughout this year. One thing I like about this set is how much you can make it yours. 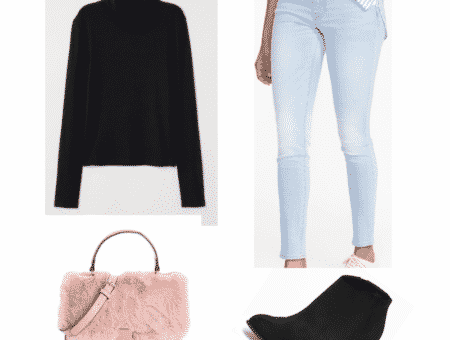 You could add a turtleneck or a long-sleeve tee underneath, or maybe colorful tights or leggings to keep your legs warm. To recreate this look, the pinafore is important. While the bright, lemon-yellow backpack is crucial to following the theme of adding a little sunshine into your life, it’s a simple accessory that can go a long way. After you have any type of pinafore, pair the look with a pair of heeled boots, and whatever color additional clothing you choose — a white top underneath and some black tights would be very cute, but you could also go colorful with a pop of red for your base layer. Overall, this is a one of a kind look that will set your style apart from the rest this winter. How will you be adding a little extra brightness to your winter wardrobe this year? 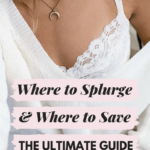 Comment your thoughts and tips below!